The announcement was reserved for an attentive audience of connoisseurs – in short, a very select community of seasoned watch geeks. 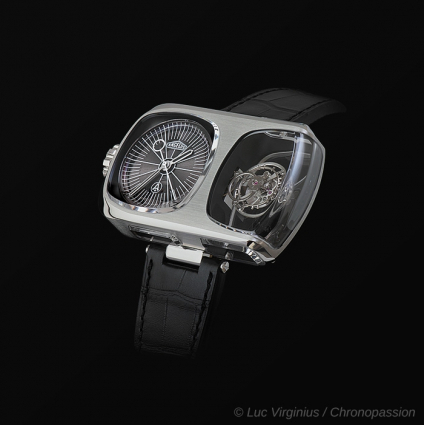 That’s precisely Chronopassion’s clientele, which is why Laurent Picciotto spotted it amongst the hundreds of others made at Baselworld. It could be summed up in a couple of words which everyone had practically given up hope of ever hearing: “Angelus is back”. Founded in 1891, Angelus devised legendary calibers for fine Swiss watchmaking, and was one of the most innovative manufactures of the first half of the twentieth century, before its name was swept aside by the advent of quartz in the mid-1970s. Nevertheless, for purists it still enshrines the essence of the very best in mechanical calibers. Many of them have powered high-ranking watches, including certain Panerai Luminors, much sought-after nowadays. With a heritage such as this, seeking to bring Angelus back to life is an audacious enterprise. And in addition to daring, it calls for resources, creativity and talent capable of more than simply repeating the past. All of these qualities are now to be found at La Joux-Perret, the illustrious movement manufacturer based in La Chaux-de-Fonds, supported by the Citizen Group – and responsible for some outstanding Arnold & Son watches. It’s this dynamic, coherent ensemble that’s resolved to bring Angelus back from the ashes. “So on paper, the rebirth of Angelus had all the ingredients for success. I just needed to see the watch itself,” explains Laurent Picciotto. “The watch” rather than the model – because in Basel in March 2015, there was just one in existence. 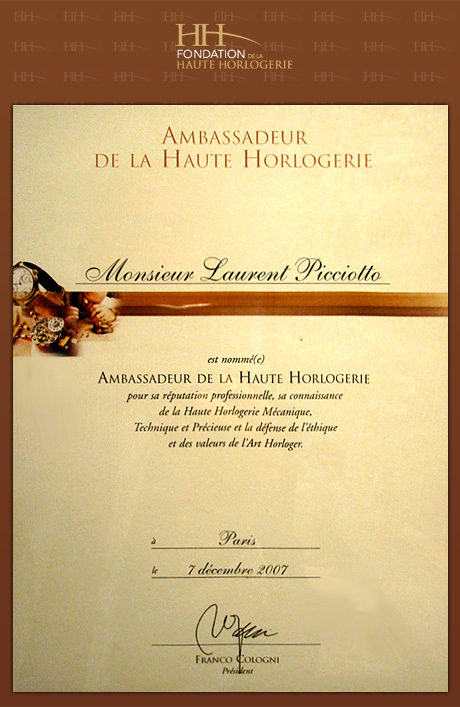 And it was reserved on the spot for Rue Saint-Honoré. Clearly, Angelus is not just another start-up. The firm offers all the guarantees of experienced watchmaking professionals – enjoying complete creative freedom – while the ‘Angelus’ name delivers legitimacy and a seal of approval. Could one talk in terms of a historic rebirth? Only time will tell. But if so, the U10 will be its cornerstone. And once again, as it has so often been for others, Chronopassion will be helping it on its way, right from the outset.